Here at Mario Auto Repairs we have a high reputation for providing outstanding quality for accident repairs. 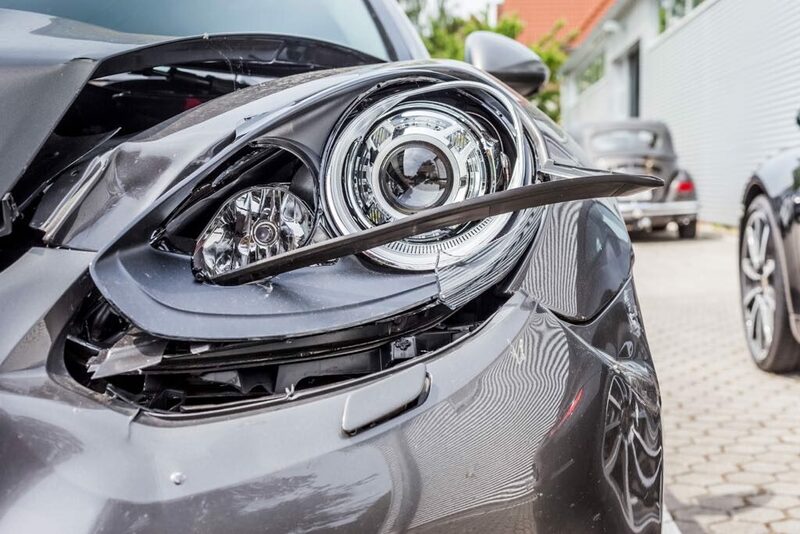 Whether it be a small knock or scratch or more severe accident damage we can assure you that it will be repaired to the highest possible standards. Regardless of what insurance company you are with, you by law are entitled to choose who repairs your vehicle. Don’t feel pressured or believe that you have to use the repairer that your insurance company have recommended. This is not always the best option for you or your vehicle, so give us a call and we can manage your insurance claim from start to finish stress free. We take care of everything from estimating to dealing with your insurance company. I have been using Mario’s services for over 15 years. Mario is simply fantastic. Whenever I have had an issue with all my cars, Mario has solved the problem in a professional manner with extremely competitive prices. Despite there being many mechanics in South London, I travel all the way from Croydon so that I can still use Mario’s services. I would recommend him to anyone without hesitation! Mario and Michael are two very professional people. I’ve been driving my car forever in their garage and they have never given me any trouble. I left my car with a problem with the engine and they were given to fix it, in 2 days the car was ready. What about? Really happy about them. Michael the boss’s son called me. I was really amazed at their job, they are two exceptional people. Brilliant Service Provided I highly recommend to have your MOT’s here. Fantastic work, very impressed by the knowledge and effort they put in to the job and the clients, very friendly and amazing prices. Will definitely recommend! FANTASTIC service. Never been so welcomed in a garage before. I called in to get my engine replaced and even though they told me they were very busy, they still tried their best to fit me in at their earliest opportunity. On the day I booked my car in, I was welcomed by Mario and his son Michael who were very lovely people and assured me they would do the work they had to do. I felt like I was in safe hands, I do love my car and don’t usually trust leaving it at garages with mechanics but them, Id leave it there anytime! When I came back to pick up my car, Mario showed me the work he had done and hey he also showed me around and was telling me about all the Italian cars he has done up and I can definitely tell you they are amazing, what a job he has done to them I want one myself to be honest. I will most defo be recommending all my family, friends and co-workers here. I can indeed say I have left with a big smile on my face. Thank you Mario and Michael. Fantastic service, professional yet friendly and approachable. Very reliable with many years of experience always seemed to get to the core of the problem and thoroughly explain the procedure which is reassuring. Met them by chance as I needed an overdue service and they helped me on the day. Ever since I recommend them to others. Grazie Mario ! I have nothing but praise for this shop. I have brought my car in there a couple of times and these guys are great. It’s a small shop and can be busy but they make it happen and get your car back to you quickly and you’re ready to go and the billing is no nonsense. I don’t EVER write reviews but it is difficult to find top mechanics anymore (especially in Golders Green area). I recently needed some repairs done to my car which is a VW Golf. VW quoted me £2300 for the work. I decided to get a second opinion and took my car to the local garage ‘Mario Auto Repairs ‘ Golders Green. After checking it all out? Mario found that a couple of the things VW said needed fixing, were not actually broken and he also found something else that needed fixing which VW did not pick up on. The total cost was £845.00. When I turned up to pick up the car, Mario showed me all the broken parts he took out and explained exactly what he did. Everything is covered by warranty. From now on I’ll only take my car there as I believe that Mario and his sons run an honest business and being a woman who doesn’t know much about cars I can say that I trust his work and honesty. Great job for a really good price for work on my BMW 1 Series. Awesome shop, honest and professional mechanics are always doing their jobs with so much care. These guys are great!! I have been recommended to them by my boss which has been coming to them for over 10 years now and although she has not been in a while they recognize her and can name all the car’s she has had.